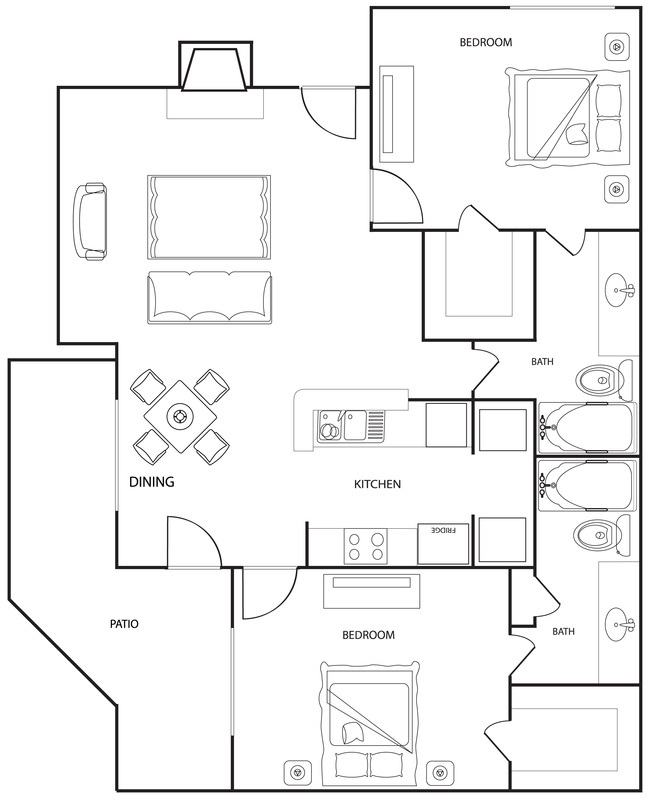 At Riverwalk Apartments, we believe that it is important to offer a variety of floor plan options so residents can find the apartment that is perfectly suited for their unique lifestyle. 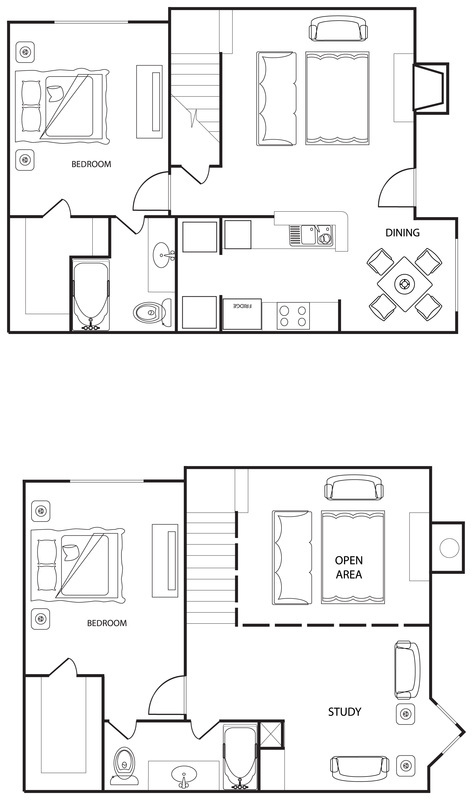 With four spacious floor plans, you should have no problem locating your ideal living space. Prospective residents can choose from a one or two bedroom apartment home. Each apartment includes a kitchen, a living room, a dining room, and the corresponding number of bathrooms and bedrooms. Life-enhancing amenities are at your disposal with our sleek, black appliances, expansive walk-in closets, and updated flooring and fixtures. Our gated community serves as an extended living space where you can enjoy a private dog park, a shimmering swimming pool, and a convenient clothing care center. With square footage ranging from 734 to 1240 square feet, it should be simple to find your dream apartment home.